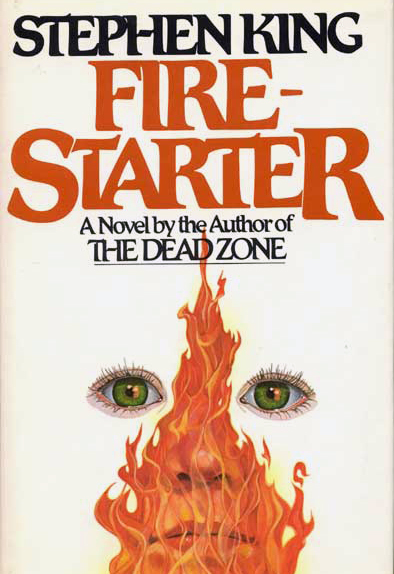 Firestarter is Stephen King's second book about a young girl with psy powers. Carrie had telekinesis and used it to slash and burn her way through half her high school class after some popular kids dumped pig's blood on her at the prom. 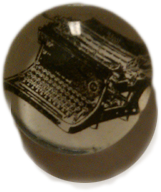 It was a short novel thin on story, but it cemented King as the writer of horror and supernatural fiction of the 70s and 80s. Now here, six books into his career, King gives us a new story about a girl gifted with psychic abilities, a book that is not what people then, or even now, considered a “Stephen King book.” You expected monsters, ghosts, hauntings, killers. But Firestarter is a science fiction novel. It's a chase story, an escape story, a government-run-amok story, a father-daughter story. But there are no serial killers or vengeful spirits, no vampires or Lucifer stand-ins. It was the book where King began to stretch beyond the constraints of horror, though he would constantly return to those red waters. It was also the first of his books where I finally saw the appeal he had with the masses. I started with Tommyknockers, which is a hybrid horror-science fiction tome, and not a very good novel at all. Man, am I glad I gave some of his other books a shot. Firestarter hooks you from the beginning with a father and daughter on the run from shadowy government agents. The father uses a mental “push” to either urge people to follow his suggestions or to believe something he tells them. He can actually attack their nerves with enough force to physically blind someone, but depending on how much mental force he puts behind the push, he suffers repercussions ranging from migraines to actual brain hemorrhages. His daughter, Charlie, has the ability to start fires with her mind, and where her father is diminished by using his power, Charlie's psionic ability gets stronger with use. The government agency tracking them, a secret branch called The Shop (a group that shows up again in several other King books) is after Charlie. They, of course, want to weaponize her. The Shop were responsible for giving Charlie's parents their relatively low-level powers. In a series of flash-backs we see them volunteer as college students for a medical experiment that results in their powers. Charlie's mom has a telekinetic power that would be a match head compared to Carrie's raging inferno. That they were able to pass on their augmented genes to their daughter was a happy surprise for The Shop. It was an even happier surprise to find that little Charlie's talent far outmatched any that the agency had ever been able to stimulate artificially. From birth, Charlie was under surveillance. So Charlie and her dad are on the run. Where's the mom? Look, it's a Stephen King book. You have to expect some unpleasantries. Can you guess what happens when a man with a bleeding brain and a little girl flee from a far-reaching, clandestine branch of government intelligence? They get caught, of course. But this is where King's plot machinations become satisfyingly subtle and meticulous. Charlie is separated from her dad, and The Shop uses threats against her father to force Charlie to participate in testing the limits of her powers. They quickly find out there might not be any. Eventually, the reasoning goes, she will figure out how greatly she outguns them and demand her father's release. So one of the agents befriends her in the guise of a mentally-challenged janitor. The steps by which he ultimately wins her complete trust make so much sense and flow so well from plot point to plot point that the author's hand disappears almost entirely, and the reader feels as if the events are unfolding naturally and without guidance. This is where I began to fall in love with Stephen King. Of course the writer is pulling the strings, but when he does it deftly enough, you the reader forget you're essentially watching a puppet show. It's like how you believe in Kermit the Frog so much that you willingly forget he's made of felt and ping pong balls. So Charlie's allegiance is torn, and her father is drugged and rendered powerless. All the time, you feel the plot building toward a big climax. Like dark clouds gathering, you can feel the tension build. King holds back then give you a little relief, then hold back more, till the inevitable gusher of a storm hits full force,dropping rain and lightning in equal measures. It's a fantastic ride. King has always been good with relationships, be they close groups like friendships or families or large communities and neighborhoods. He understands the ties that bind and the stresses that threaten those knots. All his best books deal with the creation and/or destruction of kinship. Andy and Red in The Shawshank Redemption, the ka-tet of gunslingers in the Dark Tower series, the kids in It, the light-side protagonists in The Stand. Here we have the tightest bond possible, that of a father and daughter, tested to its limits. We learn in this novel there aren't any. For years, King has been taunting his Constant Readers with a sequel to Firestarter. The book ends with a perfect set up for one, but so far nothing has surfaced. A little while back, however, King published a followup to The Shining, so maybe there's hope for a Firestarter continuation as well. I would happily welcome it.